Florian Slotawa's exhibition brakes up the existing structure of Galleria Suzy Shammah, thereby announcing its intention to close. The artist has moved the physical weight of the gallery in order to create a direct and radical perspective to interact with Atelierfotos (Studio Photographs), a series of pictures of his studio in Berlin. For the duration of the exhibition, the gallery will continue to operate in a clearly temporary arrangement. 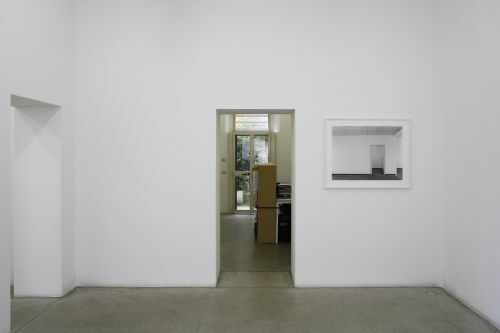 The black-and-white photographs of Slotawa's studio, taken between 2009 and 2012, show empty spaces, limited essentially to their structural elements. 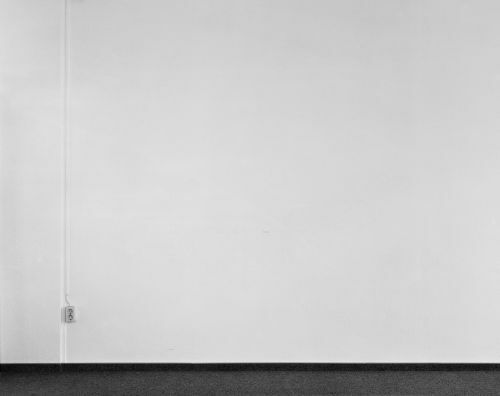 The place where the artist conceives his work becomes the subject of the work itself and finds concrete expression in minimal abstractions in a constructivist mode. 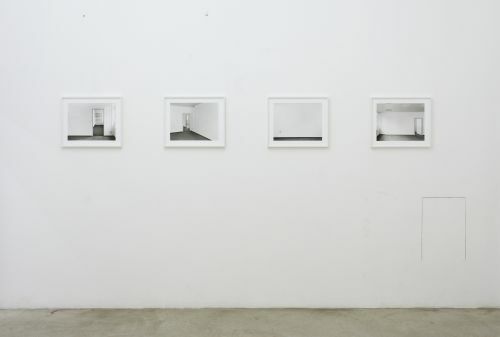 The empty rooms in the photographs come together with the empty spaces of the gallery, creating a kaleidoscopic vision. This exhibition announces the conclusion of the gallery's activity, which in 2013 will bring its work to an end, after a decade. A collision of intentions that we hope will be of good omen for the destinies of all the people who have been involved with the gallery over the years.